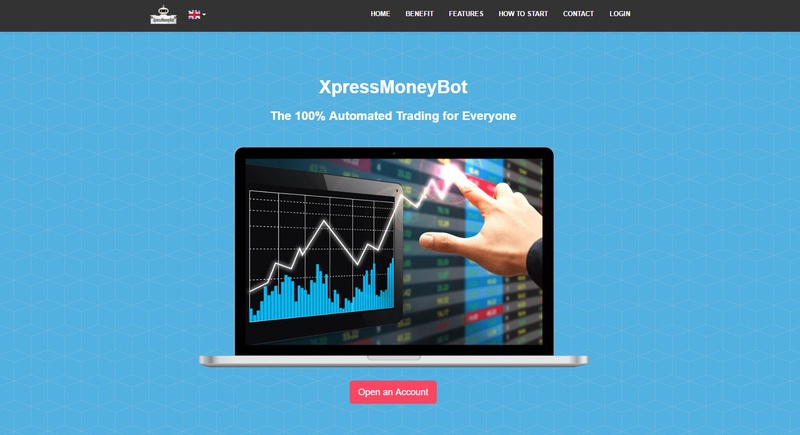 In this review we explain why Xpress Money Bot is a scam that will lose your money in trading. XpressMoneyBot is an automated software for binary options trading. It works completely on autopilot, so you just need to turn it on. It allegedly is a “new easy and complete” solution for online trading. This, along with results shown on the Xpress Money Bot webpage, suggests that this robot will make you money. But it won’t happen. This robot is certainly not new nor unique. We tested it and we immediately recognized the most widespread scam robot out there. 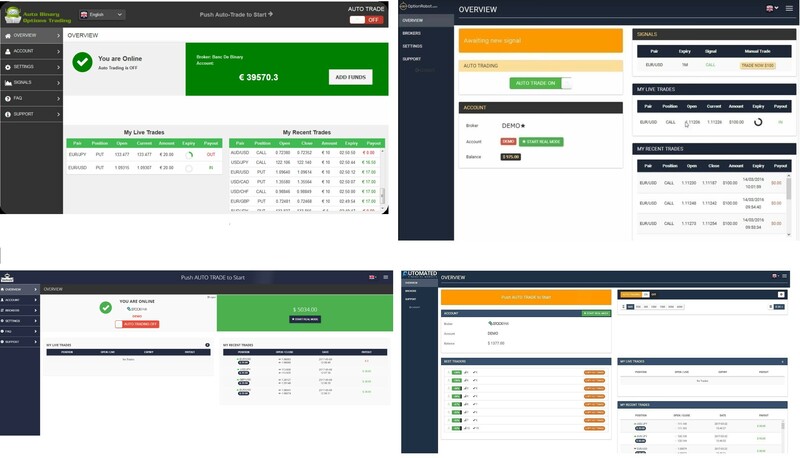 Look at the picture and you’ll see just a few examples of other scam robots based on this exact same software: Option Robot, Auto Binary Options Trading and Automated Financial Markets. The worst thing about this robot is that it has a fake demo. The demo uses fake prices, so it generates a lot of profits that would not happen in real trading. The demo is designed to make you believe that the robot is profitable, so if you don’t compare the prices with a real feed, you will fall into the trap. What usually happens is that people then open a real account and let the robot trade with their money, which of course results in losses, because real trading cannot be faked. This is why XpressMoneyBot is dangerous, it will lie to you through the demo and then it will lose your money in trading with real money. XpressMoneyBot is free, so why do scammers bother with setting it up? Because if you believe in their fake demo, you will open a real account through their software with an affiliated broker, so it will earn them an affiliate commission. This is how they make money, they earn commissions for referring new depositors the certain brokers. Xpress Money Bot is a robot based on a scam software that fakes demo results and loses money in real trading. If you want to learn to make money with binary options, use a genuine demo account with a regulated broker and build your own profitable strategy. No free software will make money for you. And don’t trade with real money until you are consistently profitable on the demo.